For all those who have Off with Their Heads! on their to-read list, we have a Valentine’s Day surprise. You can now get it for the discounted price of .99$ with this coupon code: WM52Q. This year, zombies and dark cellars are the new champagne and rose petals, so click HERE if you want to make acquaintance with Clint and Xavier (and their spare heads). They know best how well adrenaline brings people together. 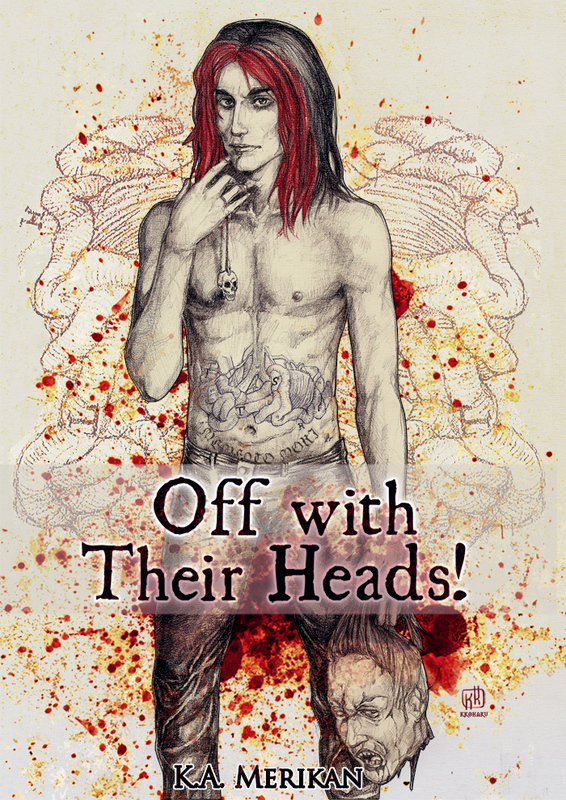 The lovely Melanie Tushmore interviewed us about this book, so if you’d like to know more about “Off with Their Heads!” and some of our other plans, check out her newest blog post. I’ve bought it already (curses *g*) and I loved it! A fab mix of wit and ghoulishness and vivid characters :). Love that cover, too, it’s perfect for him.